Do you have any idea how many weird looks and questions you get carrying around a book that says “I AM NOT A SERIAL KILLER” on the front? A lot. Dan Wells was the last of the Writing Excuses team whose books I read. I think this was perhaps because he is a horror writer, not a fantasy author. I, obviously, fell in love with Brandon’s books first, but quickly found Schlock Mercenary as well, because it was free online, and have been reading it for several years. I listened to a few of Mary’s delightful books a few months ago, and was lucky enough to receive an ARC of The Devil’s Best Friend last month, and decided that it was time to read Dan’s books. I don’t usually read horror books. They’re just not my kind of thing. I’m fine with a bit of grimdark in my fantasy—ASoIaF is one of my favorites, as is The Mirror Empire—but horror novels are on a different level. I usually want to be able to sleep at night, you know? Good stories transcend genres, though. 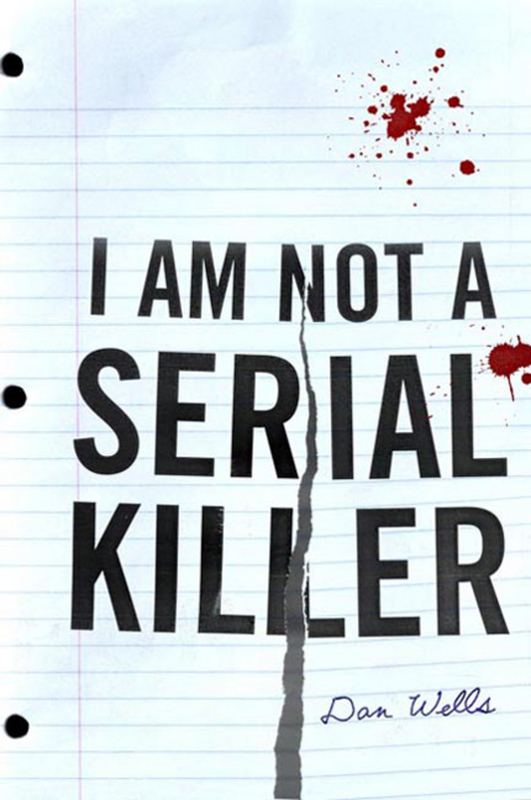 I was hooked a few pages into I Am Not a Serial Killer, and I blasted through it in a day and a half. It’s a gripping, intense read that seems far to short, because it makes efficient use of every page. The whole trilogy, together, is probably still shorter than some of Brandon’s epics. And that’s fine. The story is told as it needs to be told, no intense world-building, no heavy mental lifting, just pure, scary, fun. The book is set in a small American town that feels totally real—and so familiar that Dan is able to achieve a great amount of setting just by dropping a few hints here and there. This, I feel, is one of the main strengths of books set in the modern world, with minimal fantasy elements, and it’s one that Dan takes full advantage of, allowing him to give minimal descriptions and focus on the characters and the action. It does give the book a bit of a dated feel when the main character wanders into a Radio Shack, though. John Cleaver, our main character, is utterly creepy. A sociopath suppressing serial killer tendencies, he should feel completely alien to us. I’m not sure how Dan managed it, but this is far from how it actually felt. John is quite sympathetic, despite having no sympathy himself. I think, perhaps, it’s his drive to try to be a good person that makes me want to root for him so much, even as he imagines tearing the people around him to pieces. Perhaps it’s that, or perhaps it’s that we have an antagonist who is even more monstrous than John. Regardless, John is an amazing character, and I want more. But he creeps me out. I guess this means that the book is good at what it’s supposed to be—it’s a horror novel, after all. It’s not that there are excessive amounts of gore—most of the time. It’s just that being inside John’s head in an amazing experience, and perfectly creepy. If you’re looking for a book that will give you shivers at night, this is definitely one you want to read. I can now unreservedly say that I am not a sociopath. Thanks, I think? It also has a definite supernatural element as well. I’m not going to spoil the book by saying too much about this, but I know I definitely enjoyed the book more because it was not just our world, but had the added fantastical element. That’s not to say it’s all good, though. There are first-book quirks about it. The mystery isn’t maintained as well as I would have liked, and I was disappointed when things that were supposed to be subtle foreshadowing or hints pretty much gave the game away and lowered the suspense. There’s also a few out-of-character scenes. In particular, there’s two pages where a character who, to this point, has shown no excessive knowledge of serial killers or their methods drops comfortably into John’s lingo, in the middle of an introspective moment that shouldn’t have really made any sense to anyone else. But these are minor quibbles, and while they detracted from the book, I still largely enjoyed I Am a Serial Killer. In summary, it’s a short, well-written debut novel with at utterly chilling protagonist and antagonist, which engaged me in part due to its supernatural elements, despite having a few first-book feeling moments. Four of five stars, and I’m halfway through the next book already.